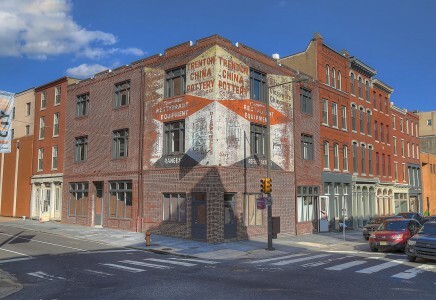 Located amidst one of Philadelphia’s popular historical and nightlife destinations, The Pottery Building provides its residents with the best that the Old City neighborhood has to offer. With restaurants, lounges, boutiques, art galleries, and museums nearby, there is no shortage of possibilities for exploration. The neighborhood provides easy access to I-95 and public transportation, making for a convenient commute. Residents can enjoy a walk amongst the scenery of the Delaware River or to Independence Hall and Philadelphia’s many historic sites. The Pottery Building’s preserved historic signage is underscored by 44 modern units containing exposed brick walls, wood beams, high ceilings, granite countertops, stainless steel appliances, in-unit washer and dryer, and central air-conditioning. Let the James ‘Right’ Price Team’s real estate acumen find your new Philadelphia luxury condominium home amidst the historical beauty and convenience that The Pottery Building offers today!